NIU School of Music percussion professor Greg Beyer and his wife, flautist Erin Lesser, who collaborate musically as Due East, are about to release their second CD. Due East’s latest offering features a stalwart pair of multimedia works from composer John Supko, presented in both CD and 5.1 surround sound DVD formats. “Littoral” melds the lustrous timbres of flute, electronics and an impressive array of percussion with texts by contemporary Dutch writer Cees Nooteboom and 16th century English writer Richard Hakluyt. The piece is accompanied by an entrancing video by Kristine Marx, with rapidly changing geometric forms superimposed over transient oceanic landscapes. The second of Supko’s pieces, “This window makes me feel,” is based on Robert Fitterman’s brilliant poem of the same title, which makes use of completions of the poem’s title based on hundreds of Google searches, chronicling a vast range of humane poetic sensibilities. It is scored for Due East plus mezzosoprano (Hai-Ting Chinn), keyboards (David Broome) and other electronics, and is accompanied on DVD by a video by Don Sheehy, which captures the hysteria of the congested cityscape that visually amplifies the pre-recorded poetic whispers (Trish McKenna) of Fitterman’s poem. Recording was partially funded through the NIU Summer Research and Artistry program. Both “drawn only once” and Gregory Spears’ “Requiem,” also being released by New Amsterdam, will be launched Monday, Nov. 21, in a concert at Galapagos Art Space in Brooklyn, N.Y. Doors open at 7 p.m. Eastern Time. The show begins at 8 p.m.
“Requiem” will be performed in full, followed by “Littoral,”an epic 35-minute multi-media work involving surround sound audio and live music for Due East, coupled with videography by Marx. 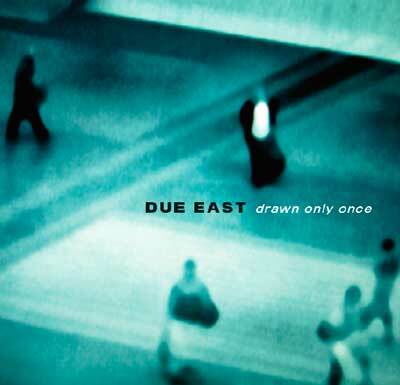 Due East won first prize in the 2008 National Flute Association Chamber Music Competition and has performed in Brazil, Europe, Canada and the USA at venues such as the Warsaw Crossdrumming Festival, the Banff Centre for the Arts, the SEAMUS conference, Bargemusic, the National Flute Association Conventions and the Percussive Arts Society International Convention. The duo’s first recording, “Simultaneous Worlds,” was released on Albany Records in October 2010. They can also be heard on the Brazilian label, Gravina Música. The duo has given recitals at performing arts series, such as Ke’nek’t (SUNY-Oswego) and Arts and Ideas (Lewis University), new music festivals (Greensboro, N.C., and Moline, Ill.), and universities across the United States. They have appeared at Bargemusic as concerto soloists with The Knights and at NIU with the NIU New Music Ensemble. 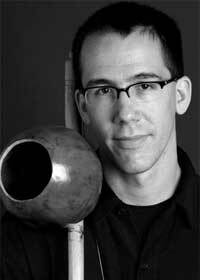 In 2005, Due East was an invited ensemble-in-residence at the Yellow Barn Chamber Music Festival. They have given American premieres of works by David Lang and Alejandro Viñao, and world premieres of numerous works through organizations such as Wet Ink Musics (NYC), Composer’s Concordance (NYC), Columbia University Composers Ensemble, Princeton University Composer’s Ensemble and New York University’s First Performance. Their programs vary from extensive multi-media and technology-driven works to pieces that call for a wide range of world music instruments in combination with folk song-like vocals and narratives.